Recently, the Office of Inspector General (OIG) released a report focusing on skilled nursing facilities’ (SNFs) billing practices for Medicare Part A payments. 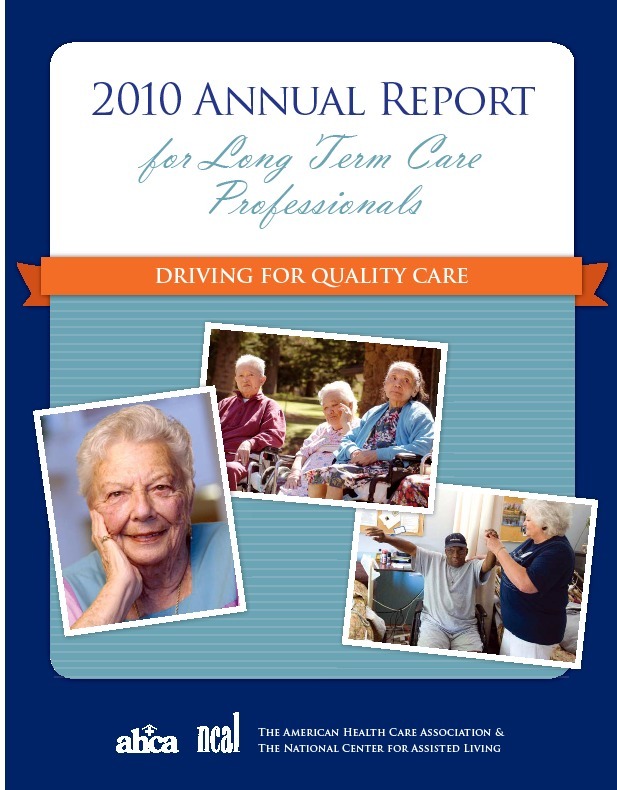 The report, “Questionable Billing By Skilled Nursing Facilities,” found that between 2006 – 2008, SNFs increasingly billed for higher paying Resource Utilization Groups (RUGs)—the classification groups of Medicare beneficiaries, based on care and resource needs—even though beneficiaries’ diagnoses at admission remained the same. It also found that for-profit SNFs were more likely than nonprofit SNFs to bill for higher paying RUGs. In 2006, hospitals discharged approximately 4 million Medicare cases to post-acute settings, of which over 50 percent went to nursing and rehabilitation facilities. From 2000 to 2006, there has been a 15 percent increase in the share of Medicare patients admitted to nursing and rehabilitation facilities. These post-hospitalization patients have a wide range of medical and rehabilitation needs. The percent of nursing facility patients receiving rehabilitative care increased from 77 percent in 2003 to 81 percent in 2005 and to 87 percent in 2007. According to the 2010 report, over 50 percent of Medicare patients treated in nursing facilities have a “major extreme severity of illness,” and nursing facilities provide care to these patients in the lowest-cost institutional setting. In addition, since 2003, there has been an annual increase in the percentage of Medicare beneficiaries discharged to the community in 100 days. Because the patient population consists of more medically complex patients, their care is placed in a higher RUG designation. Moving forward into 2011, AHCA/NCAL will continue to work cooperatively with providers, lawmakers and the regulatory community to ensure that positive trends, like increasing the number of patients that return home, continue to advance. Reflecting on the many accomplishments we achieved this past year, I am more determined than ever to change the outdated perceptions that still persist in our nation's capital and across the country. We've made progress to be sure; yet, our commitment to quality and care of our aging society has been largely overlooked. As I told AHCA/NCAL members at our annual convention, our profession is seen as the "Rodney Dangerfield" of health care… we get no respect. Although many of us have devoted our lives to understanding and providing the care America’s seniors need, the long term and post-acute care sector does not receive the attention it deserves. While others have a seat at the health care table, we’re on the menu. Perhaps this is because policymakers in Washington, DC, as well as the general public, know very little about what we do. They don’t know that the care hospitals provide on a Thursday for about $3,000, we provide for $400 on a Friday, Saturday and Sunday. And while health care reform will deliver 32 million newly insured customers to hospitals, pharmaceutical companies and others across the health care spectrum, long term and post-acute care will not benefit from such an increase. As I see it, our dilemma is two-fold - how do we secure our seat at the table, and how do we get policymakers to understand that funding is not just about payment, it’s about people? To me, the answers are rooted in one, simple word - respect. The work long term and post-acute care providers do each day should command the same level of respect so readily given to our colleagues in hospitals and other health care settings. After all, today's nursing and rehabilitative facility provides the same kind of care available only in hospitals some 20 years ago. Unfortunately, our image has not kept pace with our capacity to provide care. So, we need to bring the public and Congress up to speed. When we hear policymakers in Washington or back home refer to us as "just business owners,” we need to tell them that we're so much more. In fact, long term and post-acute care isn't about us. It’s about the people we care for, the staff we employ and the families who rely on us to be there for their loved ones and for them. Changing a decades-old perception is hard work, and AHCA/NCAL cannot do it alone. It will take effort and we will need our colleagues, our patients, residents, staff and family members to back it up. The start of a new year, and a new decade seems like the perfect time to take on such a daunting task. I look forward to sharing much more about this challenge as we usher in 2011. Guest Post: What's in Store for QIS and MDS 3.0? In case you were wondering, the new minimum data set (MDS) 3.0 will not impact the performance of the Quality Improvement Survey (QIS). However, there are some aspects of the QIS treatment of MDS data that will remain the same going forward and some that will change temporarily. New QIS software, implemented in November, will still generate random resident census samples and admission samples for the QIS process based on MDS data. Surveyors will continue to require from the nursing facility an alphabetical resident census list of all residents who are in the facility, including those who may be in the hospital or out on a home visit. They will also require the list of recent admissions. Surveyors will also continue to reconcile the software-generated random sample of residents with the alphabetical resident census and new admission list to finalize their samples for survey. What will change, temporarily, is that the QIS software will not calculate or utilize the 44 Quality of Care and Life Indicators (QCLI) that are derived from MDS data. However, almost every Care Area has QCLIs mapped to it that originate from one or more of the onsite assessments that are conducted during Stage 1. For example, the Pressure Ulcer Care Area currently has seven QCLIs that are calculated from Staff Interviews, Census Sample Record Reviews, Admission Sample Record Reviews, and MDS. Only two of these are calculated from the MDS items, so the remaining five pressure ulcer QCLIs will be utilized during QIS surveys. The calculation and use of QCLIs based solely on MDS will be on hold until sufficient numbers of MDS 3.0 assessments have been submitted by nursing facilities. Thus, although MDS QCLIs will temporarily not be used to determine triggered Care Areas for a Stage 2 in-depth investigation, these care areas will be included in QIS because of the QCLIs from other sources. Some of the MDS QCLIs that can be calculated from MDS 3.0 data are expected to be used in QIS beginning in early 2011. This week, President Obama signed into law the Medicare and Medicaid Extenders Act of 2010 (H.R. 4994), which contains the repeal of the RUG-IV implementation delay and an extension of the therapy exceptions process until December 31, 2011. AHCA/NCAL applauds both Congress and the President for addressing these critical issues before the end of the year. More importantly, we applaud the work of the long term and post acute care community. Your calls, letters and emails made a difference, and we can truly say that high quality patient care is preserved thanks to your work. Other important components of the new law include the extensions of the Medicaid Qualifying Individual Program and the Medicaid Transitional Medical Assistance Program until December 31, 2011. The Qualifying Individual Program permits Medicaid to cover the Part B premiums for those Medicare beneficiaries with incomes between 120% and 135% of the poverty level. The Transitional Medical Assistance enables Medicaid beneficiaries to maintain their coverage as their incomes increase due to changes in employment. For more information on the bill, read our complete summary. A recent story by NPR reported that currently, adults ages 31 to 64 comprise about 14 percent of residents in nursing homes. This is not surprising given the increasing diversity of today’s resident population. Nursing and rehabilitation facilities (often referred to as nursing homes) no longer care for only the elderly or chronically ill. They also care for individuals requiring intensive physical rehabilitation, which are a large part of that 14 percent. The article also offers a glimpse into the challenges faced by younger individuals living at home who need long term care and services over an extended period of time. The dynamics of care selection are well known in the long term and post acute care profession, but not necessarily by the general public. For example, when deciding where to receive care, the individual’s needs must come first. Do they require 24 hour care (which a nursing facility offers), or only assistance with activities of daily living? Answering these questions before making decisions is critical to finding the right care fit. When considering home care, it’s also important to consider whether or not the community has programs in place and resources available. In the NPR story, AHCA’s Janice Zalen and University of Maryland professor Nancy Miller point out that many community-based programs present their own challenges. In addition, state funding and support for home care continues to lag due to economic conditions. This reinforces the important role of nursing and rehabilitation facilities in today’s society: all care services under one roof, with the goal of returning home. These facilities provide the kind of care that was once only available only in the hospital. Patients with hip and knee replacements now may recuperate from surgery in a facility where they receive the skilled nursing and rehabilitative care they need before returning home – frequently, about a month after surgery. MDS coordinators are extremely busy now adapting to the demanding requirements of MDS 3.0. It’s a new way of doing business. The new resource utilization group (RUG) IV categories include new clinical rules and require better documentation and attention to the voice of the resident than did the predecessor MDS 2.0. All of us in long term and post-acute care are working diligently to serve residents, improve compliance, and identify and treat resident and patient needs. Now that the implementation date has come and gone, there are new challenges facing nursing facility providers. Looming on the horizon are possible “take backs” of any RUG-IV payments made to providers versus the RUG-53 hybrid grouper. The Centers for Medicare & Medicaid Services (CMS) is required to use the grouper to calculate payments, but it has not yet implemented. In case you haven’t yet heard, Congress delayed the implementation of RUG-IV until Oct. 1, 2011—one year later than the agency had initially planned for. As CMS develops the RUG-53 hybrid payment process, the fiscal year 2011 payments are being paid with a budget-neutral RUG-IV system. In the meantime, nursing home advocates are lobbying to get Congress to move the implementation back to Oct. 1, 2010, which will serve to avert the mess of sorting out payments under hybrid-53 process. If RUG-IV implementation is not rolled back, CMS will be required to recapture some reimbursement monies made to facilities under the hybrid-53 grouper but corrected under the RUG-IV. Those who are not prepared to measure and manage therapy may face this. Providers who prepare now by reducing concurrent therapy and boosting group and individual therapy will be less likely to get a “take back” notice. If you want to avoid or reduce the possibility of returning monies to CMS, make time to forecast therapy minutes based on your history of Medicare days by rehab level and plan for an increase of individual therapy. This may mean adding more therapists to the payroll. Calculating these minutes is a fairly easy task and is explained in this month’s Provider magazine, page 49. There you will find out how to make these calculations and compare reimbursements under each of the RUG payment processes. As providers are bustling about to adapt to the new MDS 3.0 requirements, AHCA continues to provide regular updates and tips in Capitol Connection, our members-only news publication; Provider, a national publication from long term care professionals; and our interactive website. Most recently we’ve been in communication with CMS on the various issues related to MDS 3.0 transmission, validation and error reports, RUG scores, and Section Q. According to CMS, the majority of the persistent transmission and validation report issues are related to vendor software. AHCA has consolidated the information received from CMS into one concise document. Here you can find details on key MDS 3.0 websites, Section Q, common error messages, technical issues and survey concerns. During the month of December we’ll be featuring a series of guest posts on MDS 3.0 implementation from John Sheridan, President of eHealth Data Solutions. John has over 30 years of experience in the health care industry as a strategic advisor, analyst and entrepreneur serving hospital, physician and long term care professionals. We’ll also feature posts from Dr. Andy Kramer, a long term care researcher and professor of medicine at the University of Colorado. Have questions or comments on your MDS 3.0 transition? Feel free to share them below. 85 percent measured employee satisfaction. The VRT survey, a profession-wide survey that examined workforce stability, revealed that the overall retention rate for assisted living employees was 51 percent. The VRT provides a snapshot of the profession at a moment in time that may or may not reflect a national trend. The Performance Measurement Initiative was developed to ultimately improve care by providing residents, family members and policy makers with tangible insight into an assisted living community’s operations. The Performance Measures survey was limited to NCAL members. The surveys measured 10 operational areas dealing with resident and family satisfaction, employee satisfaction, resident occupancy rate, criminal background checks for new staff members, implementation of safety programs, and more. NCAL will continue to issue this survey on an annual basis. To obtain a copy of the 2010 Assisted Living Performance Measures Survey Results or the 2009 Assisted Living Staff Vacancy, Retention, and Turnover Survey, contact Lisa Gelhaus. • Health Care Reform: AHCA/NCAL advocated for the incorporation of many key issues into reform, such as a partial Part D fix, a national health care workforce commission, and establishment of a national center for better health care workforce analysis. Of course, all was not positive with the new law, and implementation of health care reform saw many difficulties. AHCA responded by creating the Health Care Reform Resource Center. An online clearinghouse of information, the Center has over 30 in-depth impact/analysis/policy papers and 23 guidance/regulatory entries. 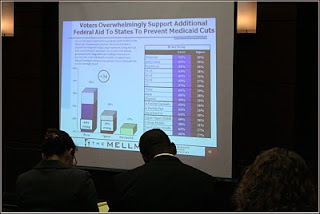 • Public Opinion and Medicaid Funding: In June, AHCA released findings of a poll by the Mellman Group which established that Americans, by significant margins, strongly supported passage of federal Medicaid relief and vehemently opposed any additional state Medicaid cuts. Taking into account the fact the Medicaid program already under funds the cost of providing care by at least $4.2 billion annually (according to Eljay LLC, a company specializing in Medicare and Medicaid payment and funding issues for nursing facilities) the stage was set for the Driving for Quality Care RV Tour. 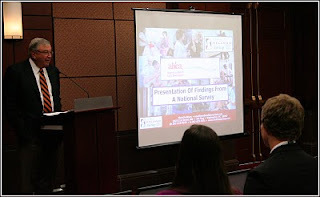 The tour brought this message across the country and urged Congress to pass additional enhanced FMAP funding. Our success came quickly – enhanced FMAP was passed in August. • Quality: Through a coalition, AHCA was instrumental in developing the report, Patient in Pain: How the U.S. Drug Enforcement Administration Rules Harm Patients in Nursing Facilities. 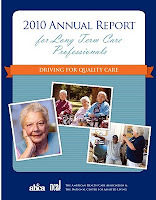 For the second consecutive year, AHCA—in partnership with the Alliance for Quality Nursing Home Care— released an Annual Quality Report, assessing the challenging dynamic of the nation’s rehabilitation and skilled nursing facilities and trends in quality, showcasing that we have improved on 16 of 26 quality indicators. The Report, now available online, also reviews grassroots and PAC activities, member services, and legislative and regulatory issues. 2010 is indeed a year for the history books. Never before have we seen so much change politically coupled with a singular emphasis and focus on health care policy in Washington. As we reflect on these opportunities, we stand ready to tackle the challenges ahead so that providers can continue the hard work of caring for our nation’s frail, elderly and disabled. The New York Times today published an article highlighting the current reality faced by vulnerable populations and those who care for them in the state of Texas. In this post-election era, debates are focusing on how state and federal lawmakers will actively seek to alter federal health care reform. While a spectrum of opinions exist on methods to save state dollars, bad ideas – like states “opting out of the federal Medicaid program” – merit more discussion and review. Anticipating the consequences for such a move is not difficult. Precipitously withdrawing from Medicaid would have a tremendously negative ripple effect throughout state economies, and to elderly Medicaid beneficiaries in particular. In today’s world, where approximately two thirds of nursing facility residents are Medicaid recipients, access to quality care would be threatened. State Medicaid rates, already low and underfunded, could not possibly support the ongoing care needs of a rapidly aging population. As facilities would be forced to close their doors, job losses would be rampant and Americans would feel the economic crisis even more in their own communities. This is not to say cost savings are not needed. Facilities in Texas and throughout America have invested heavily to increase capabilities to admit, treat and return home growing numbers of patients requiring intensive rehabilitative care. This is a clear benefit to both seniors as well as taxpayers. To help boost cost-efficiency, statehouses and Washington should help facilities improve their capacity to return patients home more quickly. This is a more realistic, logical and workable approach than rashly opting out of Medicaid. Today AHCA held a small reporter breakfast on the November 2nd election results, what they mean for the long term and post-acute care profession, and the GOP reform repeal recommendations. Our industry was short-shrifted in terms of recognition and true change to the way we are funded and regulated. In spite of all the dissatisfaction, however, the new Congress presents an opportunity for us to work with Republicans and Democrats alike to ensure those who came to the polls have their voices heard. • Reimbursement Cuts: The reality is simple. Quality care delivery is tied to staffing. Staffing is the bulk of the costs to facilities. When reimbursements are cut, staff is forced to do more with less. • 1099 Reporting Repeal: Although full repeal comes with a $17 billion price tag, strong bipartisan support from many members of Congress and the substantial involvement of multiple coalitions suggests that the prospects for a 1099 repeal are favorable. • Health Information Technology: The new law did not contain any HIT funding for our profession. We, along with those we serve, cannot afford to fall behind in this critical area. • Required Disclosure of Ownership and Additional Disclosable Parties Information: The law requires disclosure of ownership from parties with as little as 5% of property. The burden this law puts on facilities that are busy with caring for the elderly population is unreasonable and unfair. If we can say one thing about our profession, it’s that we have worked with both sides on the issues that matter most. In many respects, our sector lines up well with Republicans, and this will be an asset during the 112th Congress. The majority of long term and post-acute care providers are private sector deliverers of high quality health care. Not only are we efficient and effective in our care delivery, but we perform the same amount of treatment that a hospital does, for much less. Ours is a sector that is growing and creating jobs, which is a top priority of this Congress. Last year alone, the long term and post-acute care industry created about 50,000 jobs nationwide. In terms of the Lame Duck session, our agenda is small but ambitious. We will continue to tackle the RUG IV issue and technical changes in Medicare Part B therapy services. As we search for legislative vehicles to house this legislation we will also work on the therapy caps issue and recommend a one year exemption from capping reimbursements. Moving forward, we recognize that the FMAP extension will be a tough sell next year. However, we will advocate for this important provision and educate the new congressional leadership on other issues that matter most to our sector. As many of you know, October was a busy month for AHCA/NCAL. 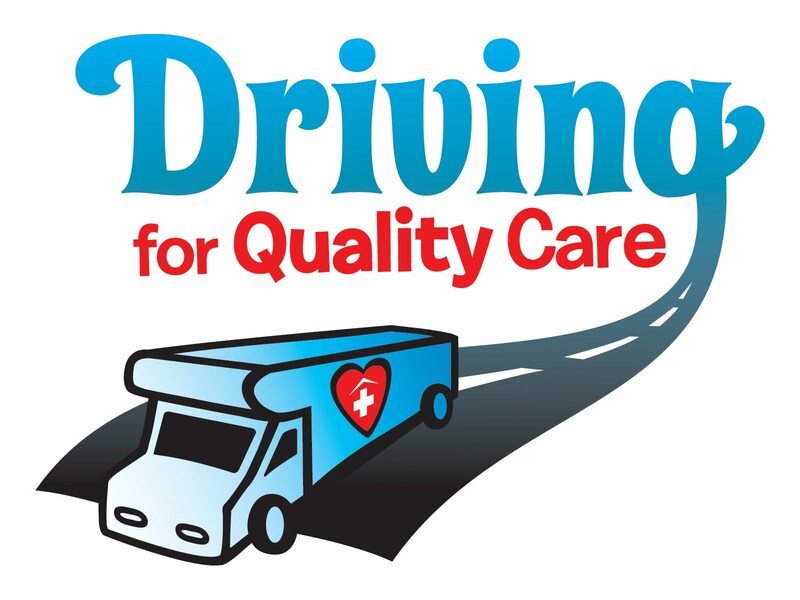 Not only did we host over 2,000 members of the long term and post acute care community during the 61st Annual Convention and Expo, but we completed our nation-wide Driving for Quality Care RV Tour. Both events were a resounding success, thanks to the support and participation of our members. The Convention opened with a bang during the Opening General Session, where we heard from incoming President and CEO Mark Parkinson, who was recently honored for his work in elder care. “Taking on the role of President & CEO of AHCA/NCAL allows me to combine my passion for quality elder care with my public policy experience,” stated Governor Mark Parkinson. Bob Beckel and Cal Thomas, authors of the USA Today column, “Common Ground,” led an eye-opening keynote address and told us what it really takes the bridge the partisan divide in Washington. Convention attendees also visited over 300 top expo booth and attended groundbreaking education sessions. The convention closed with a memorable ceremony honoring the 2010 Quality Award recipients and an inspiring session from best selling author Chester Elton, who showed us the unexpected value of employee appreciation. In addition to receiving the AHCA Annual Report, attendees got a first hand view of our activity over the year, including our nation-wide Driving for Quality Care RV Tour. The drive began on June 29th in Washington, D.C. and completed it in Blacksburg, Virginia earlier this week. Along the way, we were fortunate to meet the staff, residents, families and friends that make us proud day in and day out. We salute them and the over 8,000 individuals who signed the online petition to protect and preserve stable Medicaid funding. As we bring the RV tour to a close, we turn our attention to our state affiliates and continue to support them in ensuring that the Medicaid funding included in the FMAP extension gets to the intended recipients: America’s elderly and developmentally disabled. 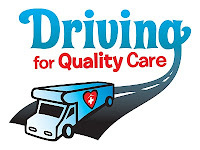 Check out the Driving for Quality Care YouTube Channel to watch stories from the road and the Flickr Stream to view photos. For a play by play, read up on our blog. Kansas Governor Mark Parkinson, who begins his position as AHCA/NCAL President and CEO in January, was recently honored for his service to elders in the state of Kansas. The Kansas Advocates for Better Care (KABC), the largest nursing home advocate organization in Kansas, honored Parkinson during their second annual “Stand By Me” event in Lawrence, Kansas. The KABC Caring Award is given to recognize exemplary contributions of leadership in providing quality care for frail elders and persons with disabilities in Kansas. Governor Parkinson has intimate knowledge of the long term and post-acute care sector that has allowed him to be a dedicated champion of elder care issues both in the Kansas legislature and as Governor. We know that he will continue to advocate for long term care professionals when he joins AHCA/NCAL and we congratulate him on this well-deserved and appropriate award. As many of you know, skilled nursing facilities across the country have been grappling with the Centers for Medicare and Medicaid Services’ (CMS’) Five Star Quality Nursing Home Ratings System for nearly two years now. AHCA/NCAL has long advocated that the Five Star System fails to provide the tools necessary to evaluate quality care and may do more to confuse and even mislead consumers than to enlighten them. A recent study by Holleran Consulting, a national research firm, echoes many of the concerns AHCA has raised since the system was hastily launched in December 2008. Released in June, the Holleran study found little to no connection between a nursing facility’s rating under the Five-Star System and resident and family satisfaction. In fact, according to the data, a nursing facility’s Five Star rating is not predictive of how a resident or family member will rate their satisfaction with the facility. The study highlights one such example of a nursing facility rated as a 1-star facility (the lowest according to CMS’ standards) had a higher willingness, on average, to select the facility again than all other facilities. Reliably and accurately measuring quality, and publicly disclosing the results, will help all consumers make informed health care choices—especially in identifying care facilities which best meet individual needs. The Five Star Rating System, based on a broken survey system designed to measure compliance with federal and state regulations rather than quality, contains incomplete, inaccurate, and even out-of-date data. We hope CMS will re-evaluate its scoring and ratings criteria. AHCA will continue working with CMS to improve the Five-Star system, and we are pleased that our concerns are being corroborated independently.